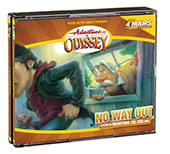 More Repacks on the Way! 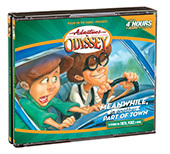 At long last, the final covers for Adventures in Odyssey’s longtime-running album repackaging project are finally now available. At the moment, a good majority of the repackaged albums have been on the market for some time, and Focus on the Family and Tyndale House Publishers have slowly refreshed the design of the albums to follow a more consistent look. 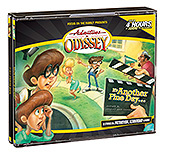 Odyssey repack collectors, be on the lookout for your Adventures in Odyssey repack collection. Album 26, Back on the Air, is next up in the lineup, so be watching for your copy in the months ahead! In the meantime, you can see higher resolution images of the newly-released front covers of albums 9, 11, 14, and 42 on their appropriate product pages. 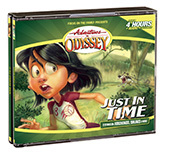 To learn more about Adventures in Odyssey’s repackaging project, visit our tentative schedule here. Plus, you’ll be able to see which albums are confirmed available and which ones are next in line. Stay tuned!